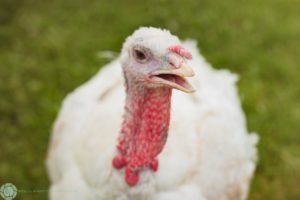 Share a peaceful vegan meal in honor of Abby, our feathered friend at ASHA Sanctuary, at our Holiday Potluck. It will be from 2-5pm November 13th at the Rochester Lifestyle Medicine classroom at the Rochester Academy of Medicine, 1441 East Ave., Rochester, NY 14610-1665 (many thanks to Rochester Lifestyle Medicine for offering this space to us!). Please note that attendees must climb one flight of stairs to reach the classroom – the elevator does not go all the way up. Our apologies. There will be a $5 charge for non-members, but you are welcome to join online beforehand or at the meeting (cash or check). There is a Stand Up for Turkeys event right before this. If that event is postponed, the potluck is still happening on 11/13. RSVP here and bring whatever vegan item you’d like to share. Contact us if you are at all unsure of what is vegan, and please bring a list of ingredients.